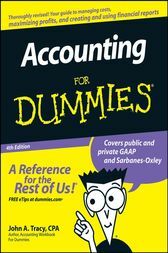 ACG2021 Financial Accounting SFCC Fall 2007 Chapter 11. In this chapter, accounting Professor Susan Crosson discusses Contributed Capital, and in particular: Ratios. Part 10 of 10. ACG2021 Financial Accounting SFCC Fall 2007 Chapter 11. In this chapter, accounting Professor Susan Crosson discusses Contributed Capital, and in particular: Corporations. Part 1 of 10. ACG2021 Financial Accounting SFCC Fall 2007 Chapter 11. In this chapter, accounting Professor Susan Crosson discusses Contributed Capital, and in particular: Stockholders Equity format. Part 3 of 10. ACG2021 Financial Accounting SFCC Fall 2007 Chapter 11. In this chapter, accounting Professor Susan Crosson discusses Contributed Capital, and in particular: Sell Stock for Cash. Part 4 of 10. ACG2021 Financial Accounting SFCC Fall 2007 Chapter 11. In this chapter, accounting Professor Susan Crosson discusses Contributed Capital, and in particular: Sell Stock Finance Building. Part 5 of 10. ACG2021 Financial Accounting SFCC Fall 2007 Chapter 11. In this chapter, accounting Professor Susan Crosson discusses Contributed Capital, and in particular: Stock Options. Part 6 of 10. ACG2021 Financial Accounting SFCC Fall 2007 Chapter 11. In this chapter, accounting Professor Susan Crosson discusses Contributed Capital, and in particular: Cash Dividends. Part 7 of 10. ACG2021 Financial Accounting SFCC Fall 2007 Chapter 11. In this chapter, accounting Professor Susan Crosson discusses Contributed Capital, and in particular: Dividends Declared. Part 8 of 10. ACG2021 Financial Accounting SFCC Fall 2007 Chapter 11. In this chapter, accounting Professor Susan Crosson discusses Contributed Capital, and in particular: Treasury Stock. Part 9 of 10.